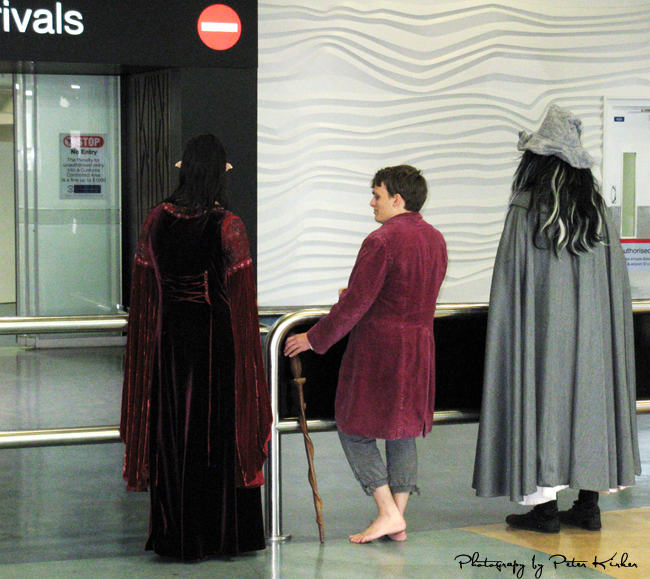 On arriving in New Zealand, I was greeted by a character from Lord of the Rings. I was discombobulated for sure. The creature knew my name. He was shouting it, welcoming me, dancing around ... or that's how I remember it. I appreciated that because I had no idea but felt it was entirely possible that one of my old friends, 8 years unseen, might have been messing with me. I had warned Gert that, in some instances, being loved by New Zealanders was a little like being loved by bears. They're rough, it may hurt as they verbally sting you, and you might feel attacked but mostly it's love. And Peter, well there he was, behind-the-scenes, photographing that startlingly unusual welcoming committee.